Thank you for your interest in sponsoring the Sustainable Design Challenge! Sponsor participation provides expert feedback and real-world connection to careers for students that just can’t be rivaled in the classroom. SCARCE first began working with local sustainable design organizations in 2016 for the 10th annual Sustainable Design Challenge. There was such great feedback from participants – students, professionals, and teachers – that it became a permanent feature of the program. Check-in & Judging of Student Projects 8:00am-11:30am – Judges arrive and sponsors set up booths for afternoon career fair before 8:45am. Students display models in the atrium of the DuPage County Administration Building. Judges are given a schedule and assigned to groups for evaluating projects using provided rubrics. 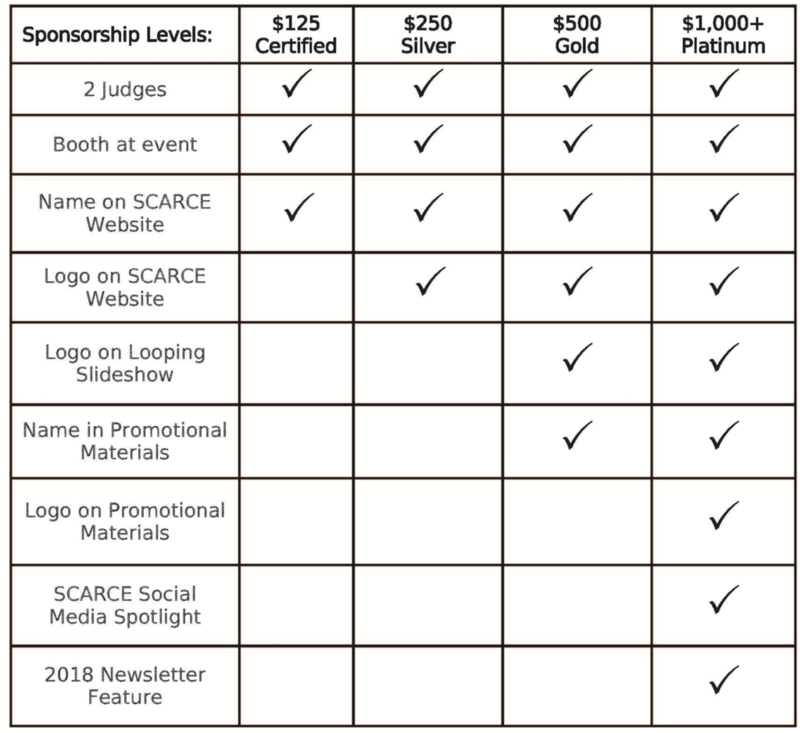 SCARCE determines the winners based on judge scores and project write-ups. Winners are announced after the event. Lunch & Career Booth Exhibition 11:30am-2:30pm – Lunch is provided for sponsors and participants. Afterwards, students have time to talk with sponsors about their respective fields. Sponsors can highlight projects they’ve worked on, what they do and don’t like about their field or career, discuss potential helpful college coursework, recommend experiences, internships, and more. During this time, students will also go on group tours of a green building on the county campus.